“Sweat equity” allows individuals with little or no capital to obtain ownership in a business, usually a partnership or California Limited Liability Company (“LLC”), by trading labor for equity. It allows individuals with financial capital to partner with others who have expertise in a particular field for the purpose of starting a business together. It is important however for individuals wishing to engage in a sweat equity arrangement to be cognizant of the tax implications associated with the transaction. Essentially, the sweat equity partner is earning money that she then exchanges for an ownership interest in the company. 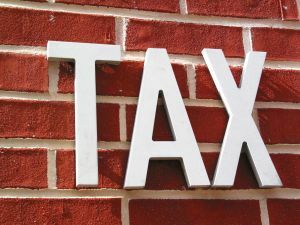 Because the IRS taxes income and defines income as both cash and non-cash compensation, a sweat equity partner’s compensation, in the form of ownership in the company, is subject to taxation. Sweat equity is subject to income and payroll taxes when: (1) it is issued in connection with the performance of services; and (2) the person receiving the equity pays less than the fair market value for the equity obtained. Sweat equity is not immediately taxable if it is subject to a substantial risk of forfeiture. Sweat equity is subject to a substantial risk of forfeiture when the partner’s ownership in the equity is conditioned on future performance of services (e.g. the partner must work for the LLC for five years before her interest vests) or is contingent on the occurrence of a condition related to the transfer (e.g. the partner must attain a certain rank in the company). When the sweat equity is no longer subject to the substantial risk of forfeiture, it is considered vested and therefore subject to taxation. $100,000, which is the value that would be used for taxation purposes. that the sweat equity partner isn’t getting paid cash for her services. instead of being given an equity interest directly for her services. which she would use to purchase the ownership interest in the company. The sweat equity partner would then repay the loan slowly over time with her share of the company’s future profits. entering into a sweat equity transaction, it is best to consult a San Diego Business Attorney.